As the dark nights draw in and the mornings get colder – the inevitable happens; the colds, coughs and sore throats reign in terror too. 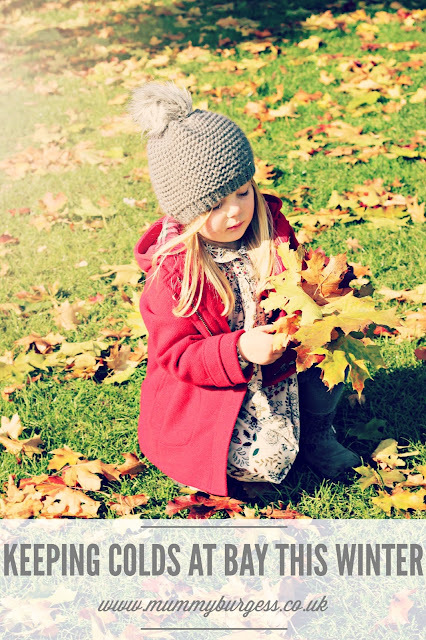 For most of us, we are unlucky enough to catch one or two of the winter nasties each year but when we have little ones in tow, the circle of germs seems to make the rounds endlessly between October and March. “So how do we stop this? ?” I hear you say! Well read on to see the areas that will aid you in your battle against the winter health woes. When it comes to the winter months, the appeal of the great outdoors lessens considerably. However, making the effort to get around 30 minutes of gentle exercise such as walking, biking or swimming can do wonders for the immune system. Preventative exercise serves to increase and improve the circulatory and immune system, as the immune cells circulate through the body faster rate, allowing them to attack bacteria and viruses quickly. Did you know that poor indoor air quality is a thing? It’s actually so much of a ‘thing’ that various research into the impact of poor air quality have been conducted. Particles found in indoor air have the capability to decrease the capacity that both adult and children’s bodies have to resist infection and can aggravate allergies as well as respiratory and cardiovascular conditions. So take your exercise outdoors, crack the windows open for limited periods and get the wonderful fresh air into your lungs. When the cold weather draws in, the slow cooker tends to make an appearance and we up our carbohydrate intake. However, there is some truth to the old saying, ‘an apple a day keeps the doctor away’; The first step, but commonly over looked organ in the fight against infections is your skin; our skin acts as a barrier to all the bugs that want to enter the body so by eating foods that are rich in Vitamin A and E such as sweet potatoes, kale, avocado and fish will keep our first line of defence in tip top condition. Oats are known for being high in fibre, but they are also high in antioxidant and anti-microbial properties, boosting immunity and acting as a catalyst for the healing properties on anti-biotics. Green Tea known for its abundance of healthy properties. Its L-theanine, an amino acid, present in green (and black) tea that strengthens the immune system. Garlic contains an active ingredient called Allicin, known for its ability to fight infections and bacteria. There are specific cultures in live yoghurt not that only keep the intestinal tract healthy, but also stimulate the white blood cells, leaving you able to fight off infection quicker. As well as eating the right foods, it’s incredibly important to stay well hydrated! Teaching our little ones the basics in hygiene can help in the fight against winter germs; toddlers and young children thrive on being independent and getting them into routines such as washing their hands regularly, covering their mouth when they cough and blowing their nose and disposing of the tissues properly will be fun for them! For adults, regular use of anti-bacterial hand gel on hands and the wiping down on banisters, light switches, toys and remote controls will give you the upper hand in the battle against the infamous winter cold! There has been some shocking statistics released this year into the hygiene habits of the nation, so teaching our kiddies the importance of good hygiene and health will go a long way to reducing illness on a long term level; to see how your hygiene habits rate, take this hygiene quiz!